We have all been affected by cancer in some way, so let's come together to create awareness, honor our heroes, and support our community. 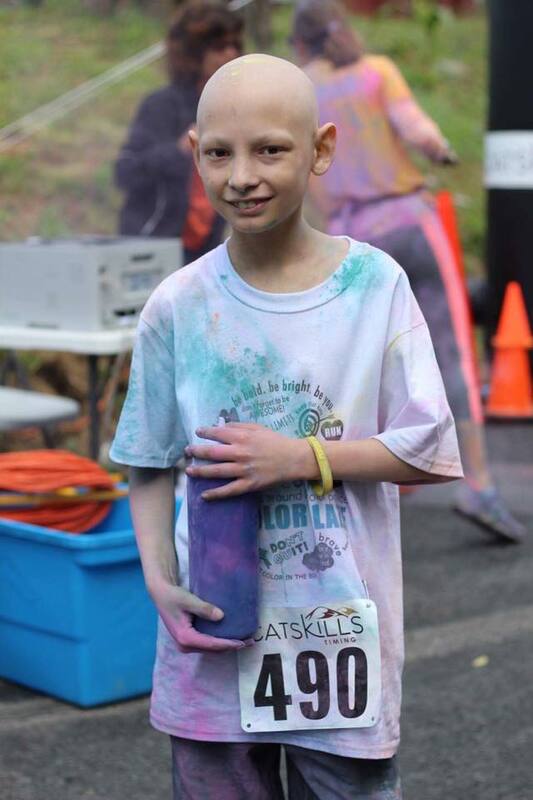 All proceeds from the Colors 4 a Cure 5K will benefit the Richard Jacob Rudy Memorial Fund, a 501c3 non-profit organization, whom will in turn donate to local families and individuals being affected by cancer. 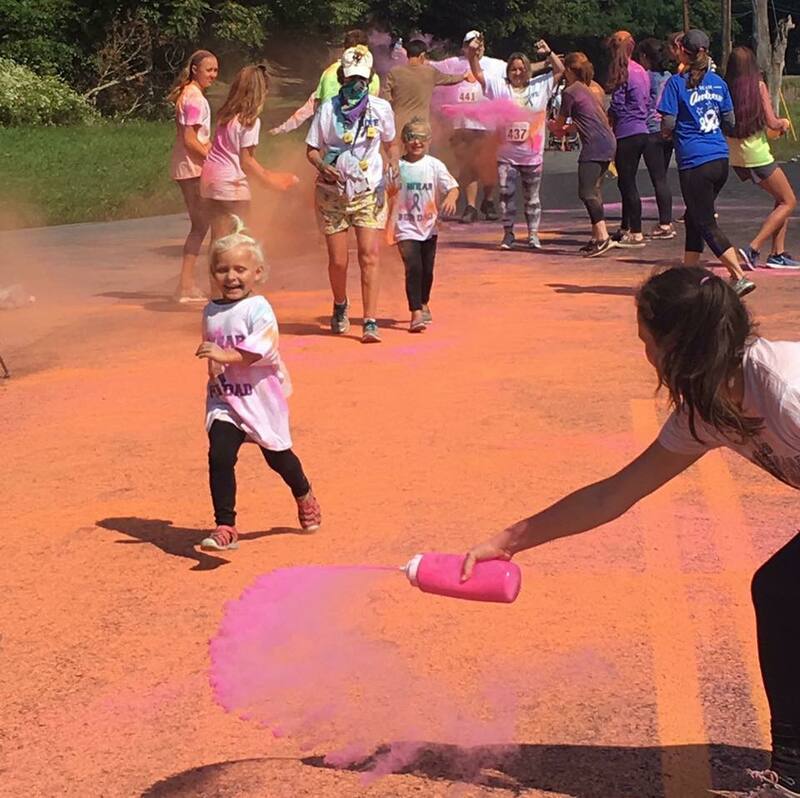 Enjoy bright throws of color, music, water stops, and the fellowship of runners and walkers, and family and friends. Let's honor and recognize those who have faced or are facing cancer with a race dedicated to the celebration of life!!! Registration continues through race day! Online registration is open through 9/8. Registration will be available at the race on race day 9/9. The cost is $23 per participant until 8/9 then $25. Discounts are given for referrals! All donations of any size are greatly appreciated! Come out as an individual runner or walker, or join a team! Wear the color of cancer awareness of choice or white. Let's COLOR the town! 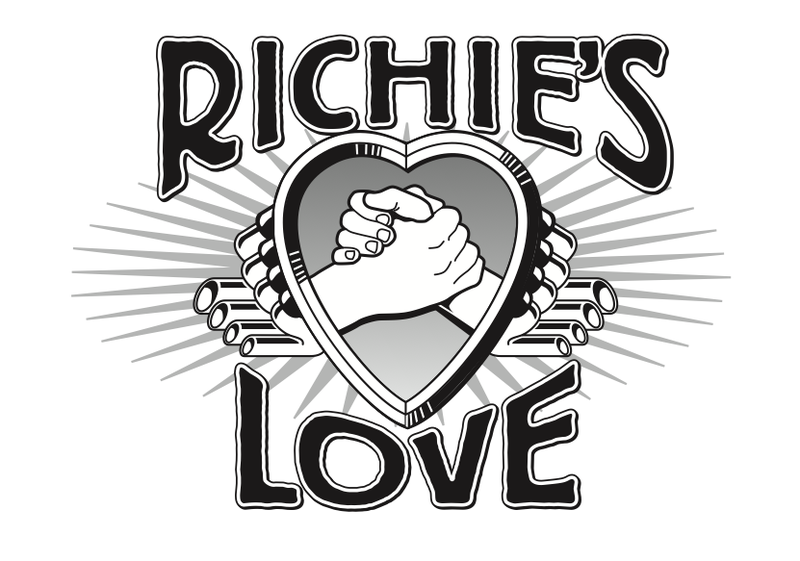 Let's all come together for a day of FUN and HAPPINESS, while we support our own community members facing hard times. 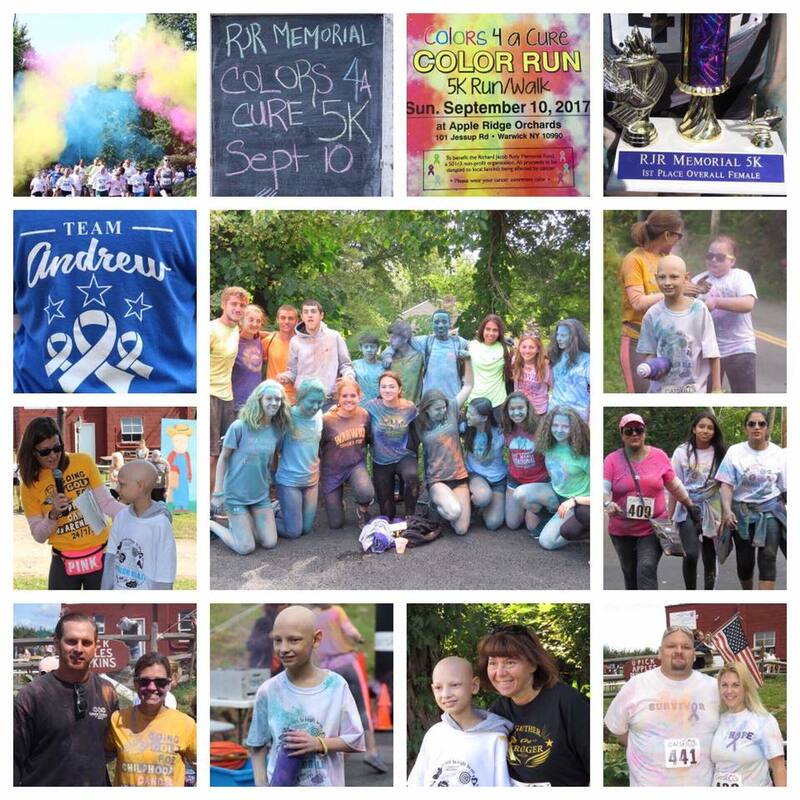 The Colors 4 a Cure 5K will be held on 9/9/17. 9am Registration opens for day-of registrations as well as packet pick-up for pre-registrants. Breakfast, snacks, and beverages will be available. Music will be provided by DJ Q. 1030am Race starts. The course is out and back on Jessup Road. There are rolling hills. The course is USATF Certified and guaranteed accurate, Course #NY13110JG. Water will be available along the course. 9am: Food and snacks available. 1200pm: Awards ceremony. Apple picking coupons available for those whom would like to enjoy the Orchard after the race. If you have pre-registered, please bring your confirmation email (which has a bar code) or ID. 1. There will be port-a-potties available. 2. Bring a change of clothes and towel for your car seat and a plastic shopping bag to separate colored clothes if necessary. 3. Water will be available before and after the race, as well as at water stations along the course. 4. Snacks will be available: bagels, apples, granola bars, apple cider, cookies. 5. Anyone not wanting color will avoid color if in the front or staying at the back for the greater part. 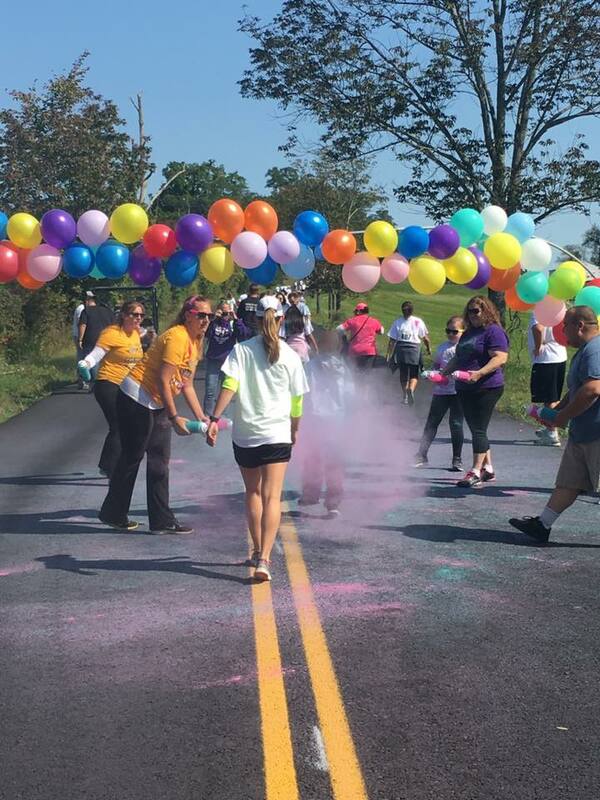 Walk/Jog away a couple feet and perhaps holding a hand up if you need to communicate with color thrower avoiding the colored powder made of a combination of non toxic and free of heavy metals...cornstarch/baking soda and FD&C dyes. 6. The colored thrower will likely aim at mid section, and participant may consider wearing their own bandana or dust mask for their mouths as an extra protection by choice. 7. Bring a zip lock pouch/bag for your cell phone, as you'll need to be careful to protect your own camera/phones from wandering powder. 8. Some people like to wear a head band to keep their hair up and color from sweeping in their eyes. Some my wear a baseball cap. 9. Checks and Cash for same day last minute entries at $25. Please be sure to sign our waiver prior to participating in the evet. 10. The course is an out and back 5K race that will be very well marked, with 1 water stations hit twice. 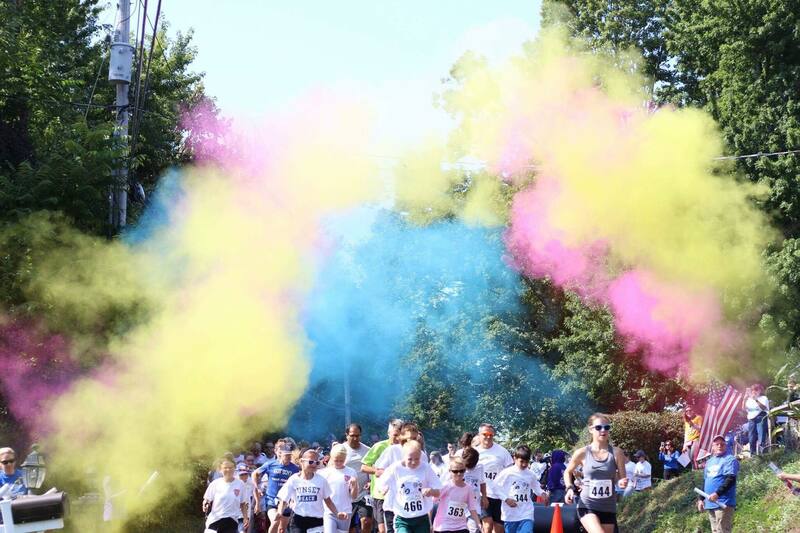 The 3 colored throw stations with color powder will be hit 6 times by each participant. 11. Strollers are welcom. Kids walking on their own power must be registered with a bib, otherwise in a stroller is commonly done and not needed to register. Be prepared for young children with powder and bandanas and eye care. **Please use caution with any pets - please have them leashed and protect them from the powder. 12. Parking signs and attendants will be clear, available, and directing you towards the right as you enter the orchard. Parking is Free. 13. The color powder does usually wash out when done fairly soon. There are ways of "Staying the color" using vinegar. 14. The charity event does not have refunds or transfer of entries. A little rain will not hurt anyone, and will likely be fine for the event. A passing Thunder storm would only delay the event, and sustained storm would be another story.